The eyes of a st louis web designer. As a web and graphic designer my eyes are my ultimate tools and never take a break. This can be a good thing especially when ambling around my garden in flip flops taking photographs yesterday. 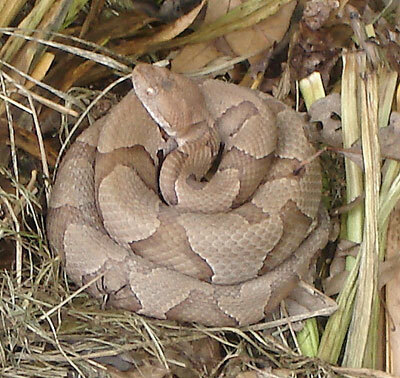 I was about to stand in my compost heap to get a better angle for my photograph when I spotted Missouri’s most dreaded snake, the copperhead, neatly coiled on top. A trip to the emergency room avoided by the eyes of a St Louis web designer!